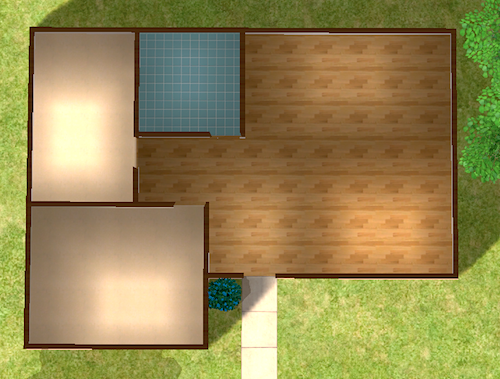 Today I created a lot, which is almost identical to a house from a legacy challenge I was playing once. However it is built on a small 2x2 lot rather than 5x5! It has two bedrooms, one bathroom and a spacious kitchen/dining/living area. It is a great starter lot and rooms can easily be added if your family grows. There is also plenty of outdoor space for gardening. It costs a mere §7,387 (unfurnished). For more pictures please click the 'read more' link. Expansion packs required: University, Nightlife, Open For Business, Pets, Seasons & Bon Voyage. There is some custom content used on this lot. This is included in the package file.